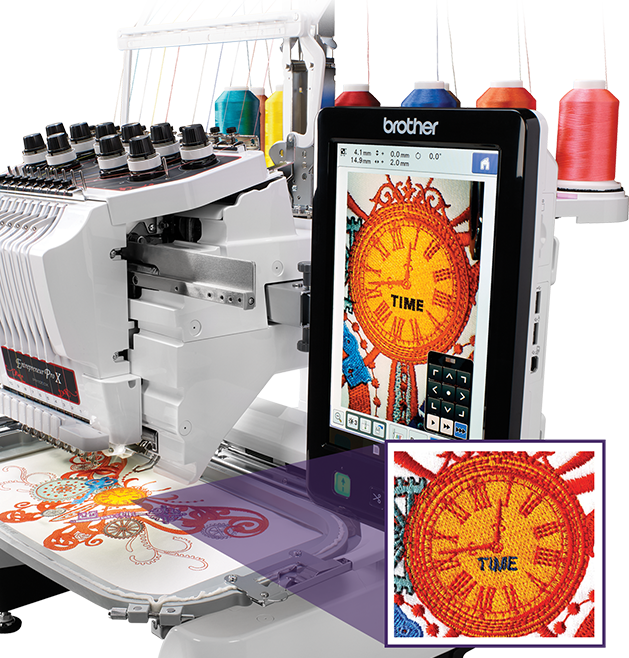 Take a closer look at the revolutionary Entrepreneur® Pro PR1050X, a highly powerful and efficient 10-needle embroidery machine, but with the ease-of-use and reliability that only Brother can provide. The PR1050X raises the bar within the industry for embroidery enthusiasts, crafters and home-based entrepreneurs. 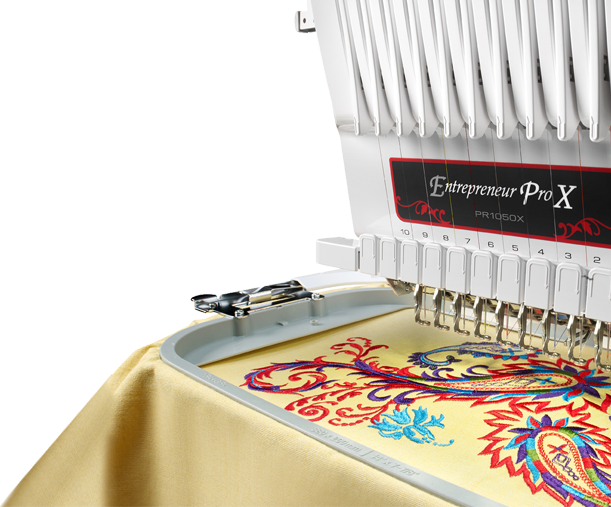 The PR1050X comes equipped with some of the most powerful design and editing capabilities ever built into a multi-needle embroidery machine. Just when you think you've reached the limits of creative freedom, look again…eXplore the possibilities!